Psychiatrists should take the lead in endorsing general wellness and encouraging healthy behaviors, says researcher James Hudziak. 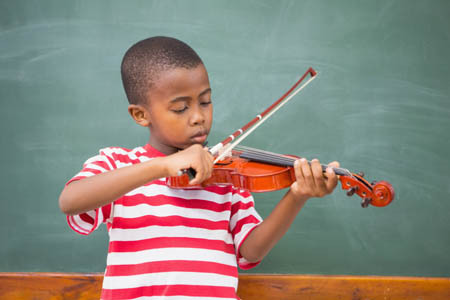 He suggests that opportunities to practice music, mindfulness, and exercise should be made available to all school children to increase brain health, and that more intensive efforts are necessary for children in families that are at risk for mood and behavioral difficulties or in children who show some dysfunction in these areas. Hudziak has implemented a statewide program in Vermont that encourages families to engage in these healthy practices. Hudziak and colleagues analyzed brain scans of 232 children ages 6 to 18, looking for relationships between cortical thickness and musical training. They found that practicing an instrument such as the piano or violin increased working memory, gray matter volume in the brain, and the ability to screen out irrelevant noise. Practicing mindfulness increased white matter volume and reduced anxiety and depression. Exercise also increased brain volume and neuropsychological abilities. Now Hudziak urges parents to advocate for the teaching of music, mindfulness, and exercise in schools as a way of improving general health, especially since music and gym are often the first programs to be cut when schools face budget shortages. Hudziak suggests that opportunities for athletics should be provided to all children, independent of their skill level, rather than only for the best athletes who “make the team.” Intramural teams should be open to all children, including those with less ability or minimal athletic skills. Exercise, teamwork, and friendships benefit all children. For more information about the programs Hudziak implemented in Vermont, use the internet to search for the Vermont Family Based Approach, see his book Developmental Psychopathology and Wellness: Genetic and Environmental Influences, or call the University of Vermont Medical Center at (802)847-0000 or (800)358-1144. Another tool that may be useful to parents of children aged 2 to 12 who are at risk for mood disorders is our Child Network, a secure online portal where parents can complete quick weekly ratings of their child’s mood and behavior, which is then graphed over time and can be used to show the child’s doctors how his or her symptoms are fluctuating and how well any treatment is working.